In case you didn’t know it Archer County Texas is known as the “Short Grass Ranching Capital” of the nation. The grass in Archer County is short, but don’t let that fool you it is packed with mega nutrients. Sounds like the perfect name for an event that helps those in need. 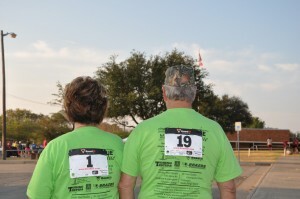 This year the Scamper had 130 registered runners/walkers and raised over $3000. All funds raised are used to help those in need with emergency expenses. It was our privilege to help support and participate in this event. To learn more about the AC Shortgrass Scamper click on the links below and be sure to visit the gallery of photos under the “Contact” tab on the Scamper page. We look forward to seeing you next year, helping them help those in need.